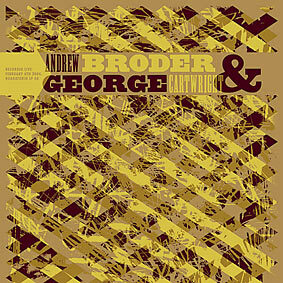 Andrew Broder (aka Lex Records/Ninja Tune recording artist Fog) and George Cartwright (leader of the long-running avant/jazz group Curlew, as well as the GloryLand PonyCat trio) can each lay claim to some serious barrier-crashing & genre-splicing within their respective bodies of work. Together on a Minneapolis stage in February 2004, they carried on the cross-pollination even further: utilizing an array of saxophones, laptops, turntables, keyboards, and various effects, this freely-improvised set touches on familiar territory from their pasts & points a way to future possibilities. By turns lyrical and abstract, meditative and unsettling, Broder and Cartwright create imaginary soundtracks for pirate-broadcast TV documentaries on phenomena you never knew existed. A limited edition of 531 copies on red vinyl, with hand-silkscreened covers.